Will Ajith and Allu Arjun clash? 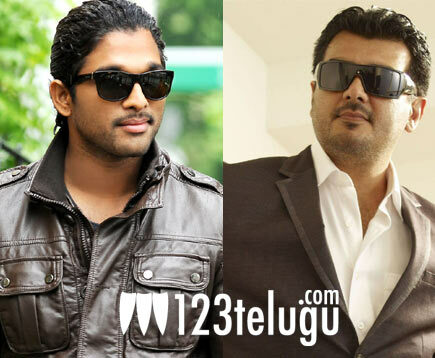 Will two heavyweight stars Ajith and Allu Arjun clash at the Box Office? This looks to be the case as both films are slated for release on July 13th at this point of time. While Ajith is a superstar in Tamil Nadu, he has a reasonable market here in Andhra Pradesh. Bunny meanwhile has a sizeable market of his own and the presence of Trivikram Srinivas as the director of ‘Julay’ will only add to the movie’s appeal. If both these movies release on the same day, they could end up cannibalizing each other’s openings and this could prompt one of the production houses to postpone the release. The downside is that the month of July is packed and any such changes will end up upsetting the plans of other movies. What will happen? We will have to wait and see.